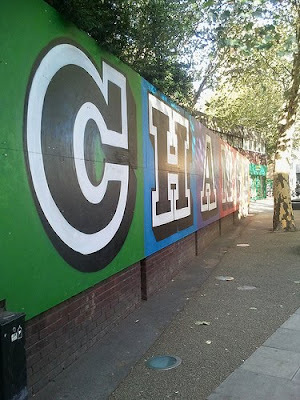 Today marks the last day of the Hampstead Affordable Art Fair, the North London cousin of a South London favourite which has been vending affordable art to willing punters since 1999. 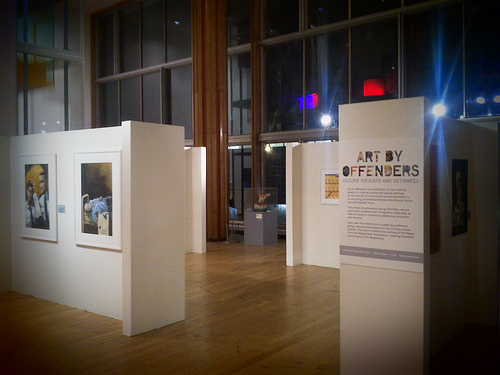 It's been going since Thursday, with 90 galleries exhibiting art from well-known and emerging artists, with prices ranging from £40 to £4,000. 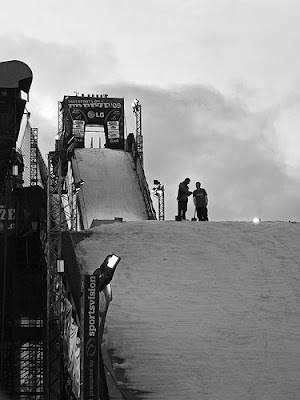 Over in Battersea, in the shadow of the power station, the Relentless Freeze Festival have built their now annual ski and snowboard ramp, and are displaying all sorts of tricks all day. It costs a fair amount to attend, but for your money, you get to see a snowboard world cup and a Europe Vs The World ski and snowboard battle, and enjoy music from The Streets and others. 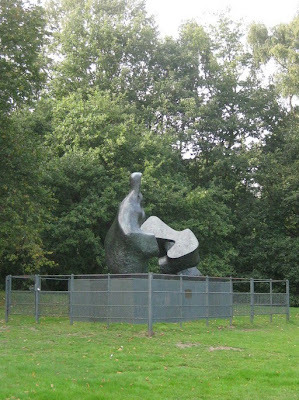 Not all of London's good art is found in galleries, and one excellent piece your author stumbled across recently is Henry Moore's Two Piece Reclining Figure No.5, in the gardens of Kenwood House. Reclining figures are a staple of Moore's work, but this one was apparently a bit of a change for him, as he had previously stuck to seated women, and this news two piece reclining figure offered unexpected perspectives. Now surrounded by fences, presumably because the Bronze in which it is cast is worth a pretty penny, the figures are still worth a look. 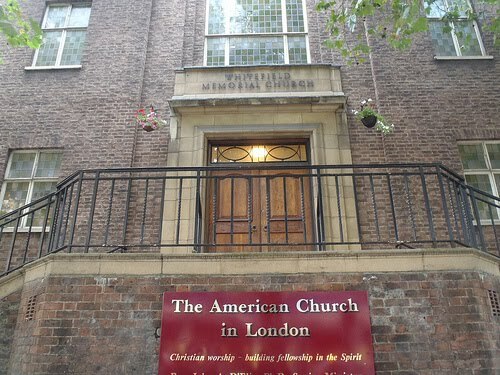 Your author is a heathen, but there is something nice about how almost every cultural community in London seems to have its own church, and our American cousins are no different. The American International Church is based at Whitefield Memorial Church on Tottenham Court Road. 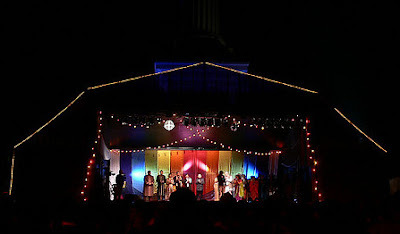 With a congregation made up of Americans, Brits and people from more than 20 countries around the world, it is a truly international institution, with music, community organisations, quizzes and even a soup kitchen for the homeless and marginally homeless. 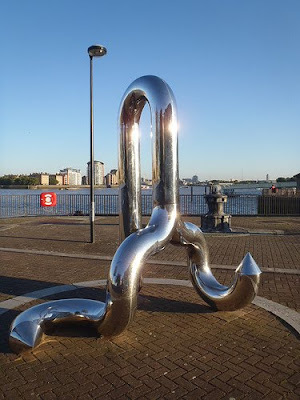 *Note September 2013 - name changed at request of their marketing agency, redPepper Marketing Ltd: "...as a reflection of the diversity within the congregation and community surrounding its Tottenham Court Road location, in London"
Situated at the South Eastern tip of the Isle of Dogs, formed by the curve of the Thames, Saunders Ness is a spit of sand which dates from the early history of the area, and appears on maps dating from at least the Sixteenth Century. Now commemorated in the name of Saunders Ness Road, the sandy foreshore is still visible beneath the modern wall, reminiscent of earlier times before the path of the River was not so fixed. 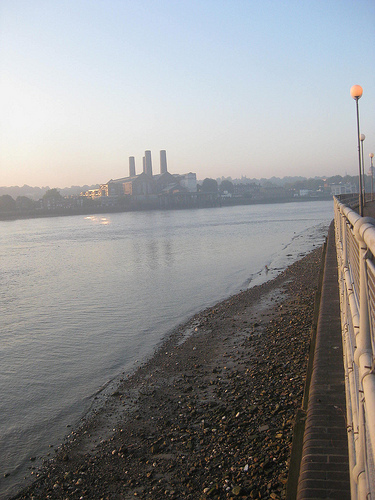 An information board tells of early inhabitants building banks of earth and rocks to stave off the movement of the Thames, which here was much less fixed when the Isle of Dogs was marshy pastureland, referred to as Stebunheath Marsh. 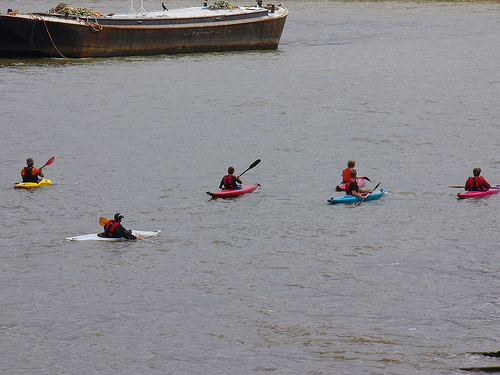 Today, the river walls are much more sturdy, and offer excellent views across to Maritime Greenwich and industrial North Greenwich. For more information, read the information board here. 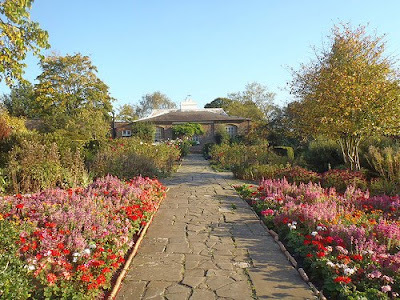 Named after the writer and artist John Ruskin, who lived in the area from 1823 until 1871, Ruskin Park is found on the borders between Camberwell, Brixton and Herne Hill in South London. 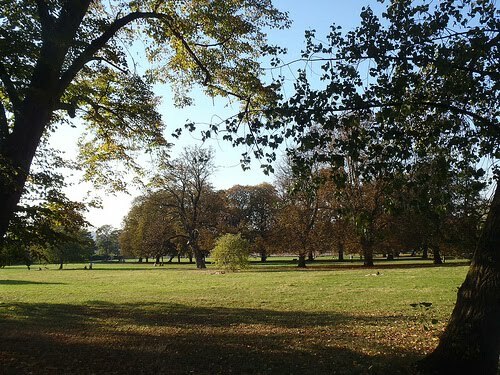 Officially opened to the public on 2nd February 1907, the park was designed by the famous Chief Officer of Parks at London County Council, Lt Colonel JJ Sexby, originally over 24 acres, with a further 12 acres added in 1910. The modern park contains a bandstand, flower gardens, and ornamental and wildlife ponds, as well as a children's play area and other features. A fantastic pub on a quieter street in Bloomsbury, the Lamb is a gem, originally built in 1729, it is now noted for its Grade II listed Victorian exterior, and its etched glass snob screens which were designed to allow customers to order without having to look at the bar staff. 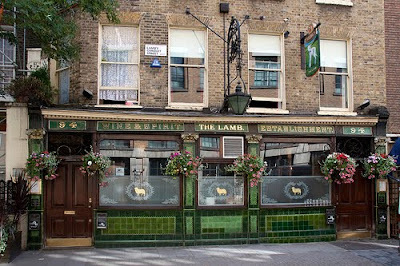 The pub is now owned by Youngs and excellent food and beer, retaining the name it took from William Lamb who improved the conduit to bring water from Holborn in 1577. 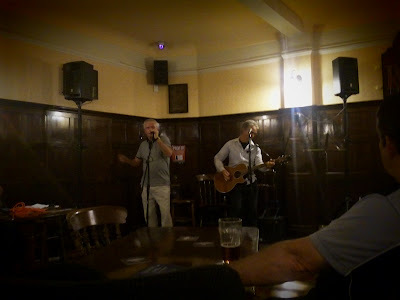 It is also notable for a pub purist like your author as it doesn't have a TV or any music, allowing space to sit and have a good talk to friends and anyone else who shows up. Another notable feature is the working polyphon on the wall, which is designed to play tunes like a music box, and is the same design as the one which once operated in your author's grandparents' pub, and still lurks in the family attic. 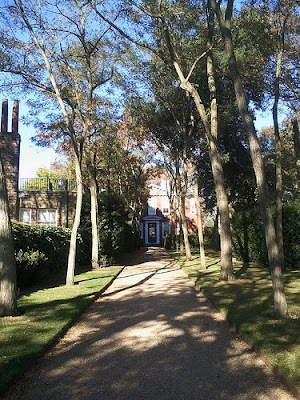 A fantastic 17th-century merchant's house, occupying one of the best sites in Hampstead, if not London, Fenton House is fairly unique in that it has managed to survive almost completely intact - with a lovely garden - for more than three centuries. Now owned by the National Trust, after being left to them by Lady Katherine Binning in 1952, it is a great place for a poke around, especially if the rooftop balcony is open as it was last Saturday, offering spectacular views to central London. Whilst the house closes for the season on 30th October, your author understand that there are also due to be some openings at Christmas time, which sound particularly special. As the last rays of sun slipped away on Saturday evening, your author headed into Hampstead for a drink at the Duke of Hamilton, and received a very warm welcome. 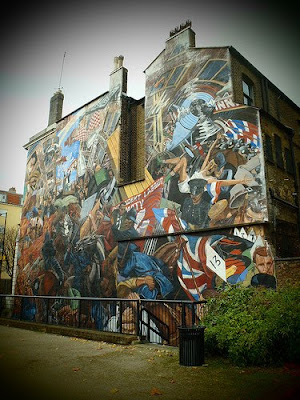 The pub claims to be one of the oldest in London, with a history dating back 300 years, and had a great atmosphere and a friendly crowd. 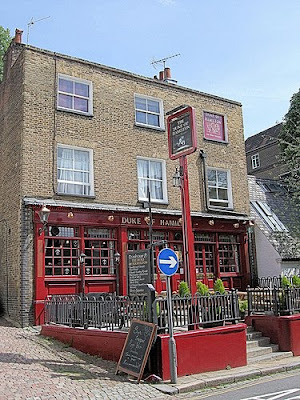 Three times a winner of CAMRA North London’s Pub of the Year competition, the Duke of Hamilton has a good range of ales which were well cared for and also a very reasonably priced food menu, which undercuts other pubs in the area by a considerable margin. The pub was apparently threatened with closure last year, after the company that owned it submitted a proposal to turn it into flats, but thankfully the application was withdrawn after the Council made its views on the matter clear, and for now it remains an excellent local, just off the Hampstead tourist trail. 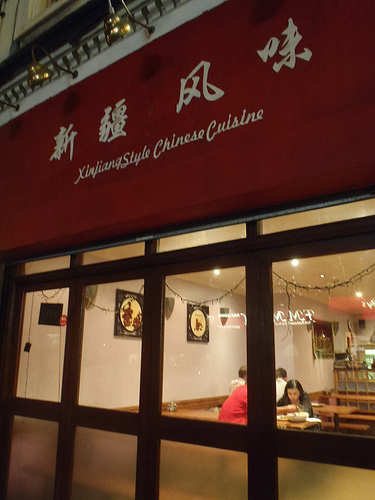 Found at number 49 Camberwell Church Street, Xinjiang Style Chinese Cuisine is an unassuming Chinese canteen which specialises in food from the autonomous Xinjiang region of North West China. Your author doesn't pretend to be a restaurant critic, and doesn't usually like to approach these things with a broad brush style review, but the results were thoroughly appetising, and reasonably priced, with enough flavour and spice to mark them out from your typical local takeaway. 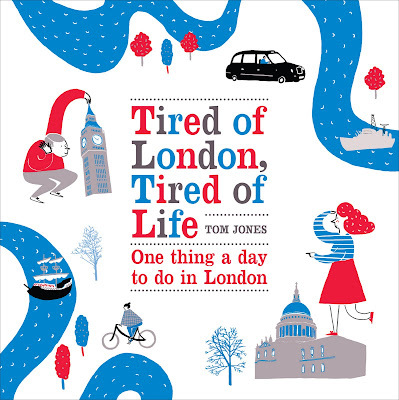 For a more detailed review, head over to the Randomness Guide to London. 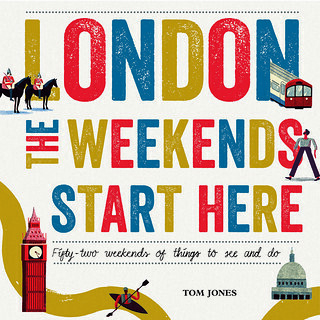 Until a few weeks ago, your author had only been aware of Brockwell and Ladywell Cemetery as an empty space on a map. 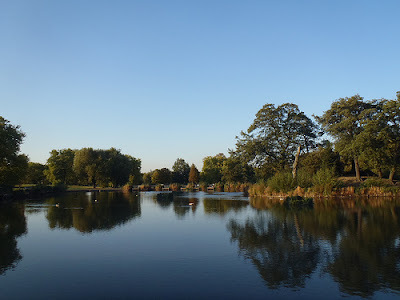 A dark space which loomed in peripheral vision during late cycle rides across South East London, but during the daytime it is a beautiful place to get away from it all, and immerse yourself in a mixture of death and nature. 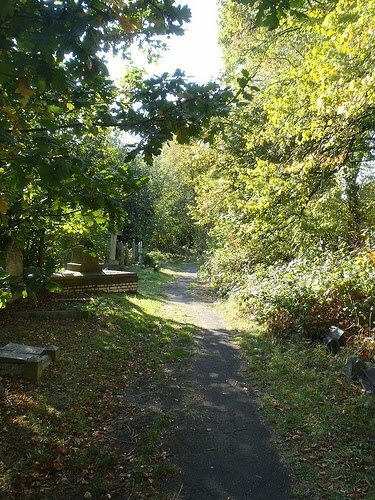 Opened in 1858, originally as two cemeteries serving the parishes of Lewisham & Deptford, we are told that the total area is 37 acres. The cemeteries are rich with wildlife, including sycamore, horse-chestnut, hybrid black poplar and lime trees, which are now showing a lot of autumnal colour, and inevitable squirrels dart to and fro. For specific information from the Friends of Brockley and Ladywell Cemeteries, click here, of for a great overview, see click here. 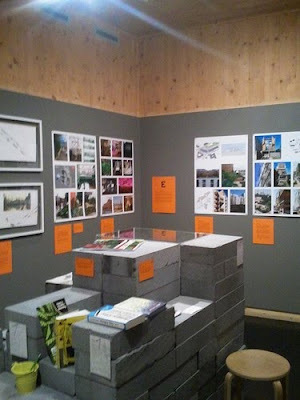 and from now until April 2012 they're hosting a particularly interesting exhibition covering the history of the improvement of urban environments through gardens. 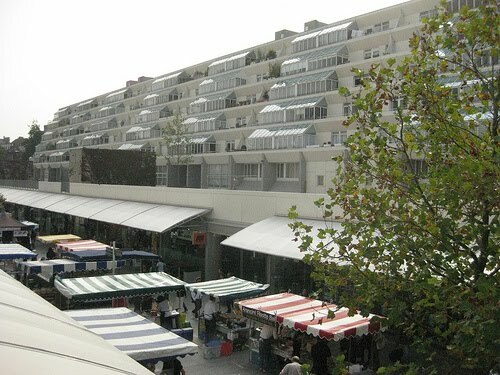 The exhibition covers the history from the first Garden Cities, when Londonders looked outwards to find a better environment, to the modern day when we've all been told there is no more outwards and we have to make the best of our inner cities. A lovely hidden garden at the heart of Brockwell Park, the Walled Garden once formed the kitchen garden for old Brockwell Hall, the predecessor to the Hall which still stands at the top of the hill in the park. It is a secluded spot where visitors are found in hidden corners, sitting on quiet benches and reading, or meeting the birds and squirrels who dart around. Even at this time of year, it is rich with colour thanks to the hard work of the gardeners who tend to it. Your author understands that the garden was transformed under the supervision of horticulturist and first Superintendent of London County Council Parks Department, Lt-Colonel J.J. Sexby, after whom a garden in Peckham Rye Park is named. Over in West London, the Piano Nobile Gallery is currently hosting a great exhibition by British painter Cyril Mann (1911-1980), showcasing some of his rare pre- and post-war paintings of London including the fantastic 1948 piece 'St Paul’s from Moor Lane', showing the area in the period just after the War. 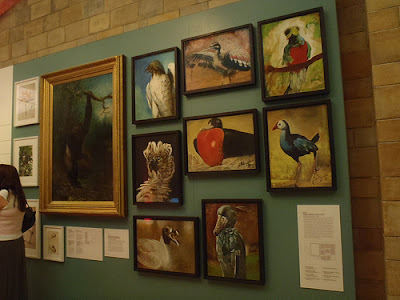 The show presents a range of different interesting pieces, in various different styles, including some also painted in Paris, and is a real treat for the amateur gallery visitor. 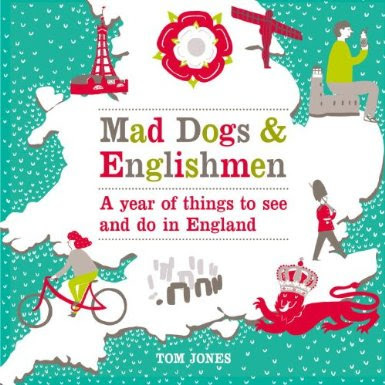 For some perspective from someone who appreciates these things with a better critical eye, readers should have a look at the latest post on Jane's London. 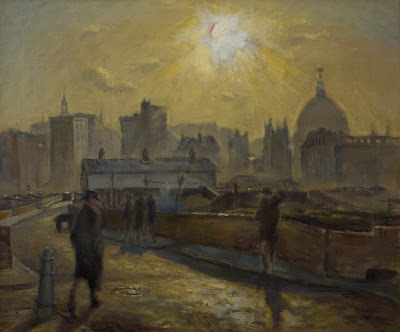 Cyril Mann sounds like a fascinating chap, and his widow Renske tells your author that her late husband was inspired by the way sunlight and shadows transformed London. He also spent much of his life working from his council flat rather than a studio, fearing he would lose inspiration if he moved to a studio, and only really went on to achieve wider success after his untimely death, now being represented in galleries as diverse as the Guildhall Museum & Art Gallery, the William Morris Gallery, and the the British Museum Prints Department. 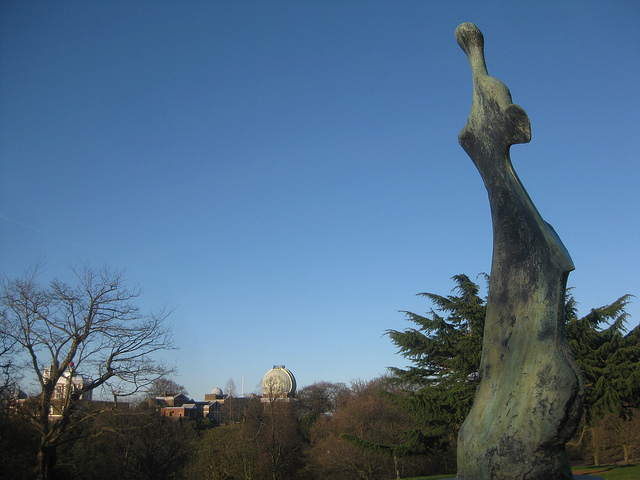 Returned last month to its location in Greenwich Park, Henry Moore's Large Standing Figure Knife Edge has been missing for a few years, removed in 2007 for conservation, and then taken on holidays to Kew Gardens and Yorkshire Sculpture Park. The sculpture was created by Moore in 1976, and is actually the property of the Henry Moore Foundation, but has been returned on loan for two years, meaning it will be in place throughout the Olympics. The memorial to the members of the Special Operations Executive who worked for the Allies during the Second World War was unveiled on the Albert Embankment in October 2009. 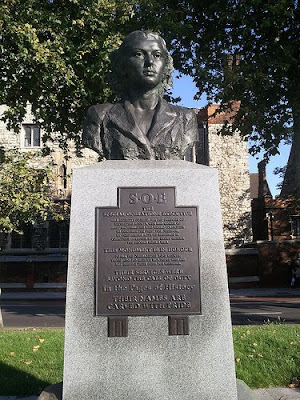 The memorial features a statue of Violette Szabo, who was captured during a mission in occupied France in 1944, executed in early 1945 at Ravensbrück concentration camp at the age of just 23 years. Alongside the memorial to all the members of the Special Operations Executive, the memorial also features separate plaques to remember the Heroes of Telemark and the Maquis French Resistance Fighters, of which Szabo was a part. 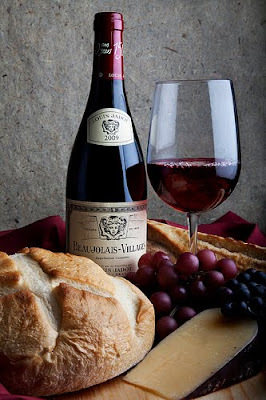 Your author prides himself on keeping repeats to a bare minimum, but with all weather forecasters predicting one last day of the Indian summer, it seemed important to feature a place to wave goodbye to the summer this evening. The sunset over Millbank last Thursday, viewed from the Tamesis Dock, between Lambeth and Vauxhall bridges, was stunning. Formerly known as The English Maid, the boat pub is a converted 1933 Dutch barge with a great sun deck on top, which on sunny days is often busy. 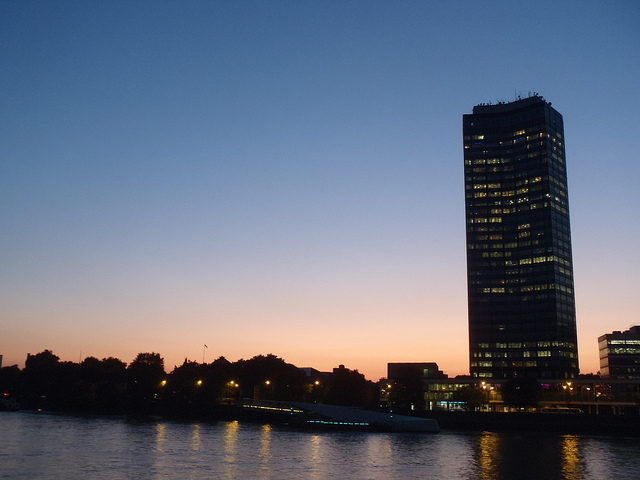 From the deck, the sunset over Millbank tower is pretty smashing. 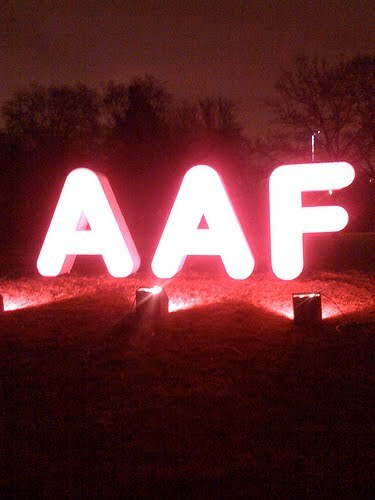 The last week has been lovely, but readers should fear not. Autumn and winter are excellent times to be in London, and there are some fantastic events to look forward to. Londonist's Things To Do In London At The Weekend is always a treasure trove of excellent events and they inform your author that this weekend Wilton's Music Hall is holding a range of events to mark the 75th anniversary of the Battle of Cable Street. Today's Cable Street Stories features an exhibition, a book launch, stalls from campaigning groups and local organisations, street theatre and music, and later performance from a range of poets, singers, choirs, comics and bands including Dorset's own Billy Bragg. Grade II* Listed Brockwell Hall has been Brockwell Park's cafe for more than a century, and still serves all comers from its spot on the summit of a hill, looking South East towards Dulwich and Sydenham. The Hall was, we are told Brockwell Hall designed by architect D.R. Roper, and completed in 1813 as the home of glass maker John Blades, sitting at the centre of a grand park estate. 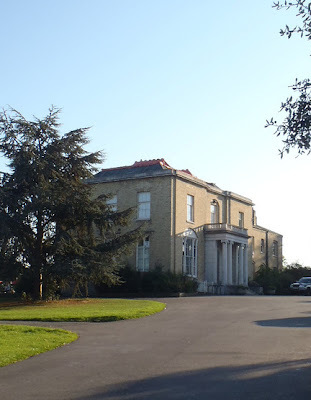 In 1888, the estate was acquired by London County Council from a subsequent owner, to open to the public as a park, and Brockwell Hall first opened as a Refreshment House in 1892.